Registration was open until 2/28/2019 at 1pm, and is now closed. Downtown Orlando is experiencing tremendous change and much of that change is occurring in Parramore, an historic African-American community located just west of Orlando’s Central Business District. Intended to balance the preservation of cultural heritage with the need for economic development, the Parramore Comprehensive Neighborhood Plan uses Healthy Community Design principles to revitalize the community and address critical issues such as chronic diseases, homelessness, crime, low educational achievement, and residential displacement. The webinar will demonstrate the integration of healthy community design, placemaking, mobility, and the economic and housing analyses needed to transform a redevelopment plan to reality. The presenters will provide best practices and list the implementation actions that have occured since the adoption of the plan. Identify healthy community design best practices. Build consensus within disenfranchised communities to inform best design practice. Balance economic development and historic and cultural preservation within the design. Understand the importance of building partnerships for healthy community design. 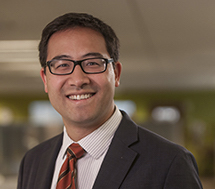 Curt is the Director of Community Planning of VHB’s Planning + Design Studio and is responsible for leading collaborative teams that address complex community and mobility planning issues, including visioning, corridor redevelopment, and healthy community design. He has 15 years of experience, including 12 with VHB. Curt has led award winning projects throughout Florida, including the Parramore Comprehensive Neighborhood Plan (APA-FL 2015 Award of Excellence), the UCF Downtown Master Plan, and the design for the Central Park in Creative Village. Curt earned a Bachelor of Science in Natural Resources and Environmental Sciences with Honors from the University of Illinois and a Master of Urban and Environmental Planning degree from the University of Virginia. Paul Lewis has worked for the City of Orlando as a planner and planning manager for the past 32 years. 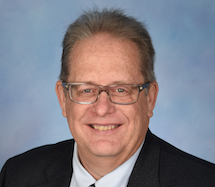 He is known throughout Florida as an expert in growth management and sustainability, population and economic forecasting, aviation land use planning, and parks and open space planning. Paul has extensive experience in creating and implementing nationally recognized New Urbanism projects in both infill (Baldwin Park) and greenfield (Lake Nona/Medical City) locations. He is a strong advocate for Healthy Community Design, as evidenced by his work on the APA Florida Chapter-award winning Parramore Comprehensive Neighborhood Plan. In 2016, Paul was inducted into the American Institute of Certified Planners – College of Fellows.